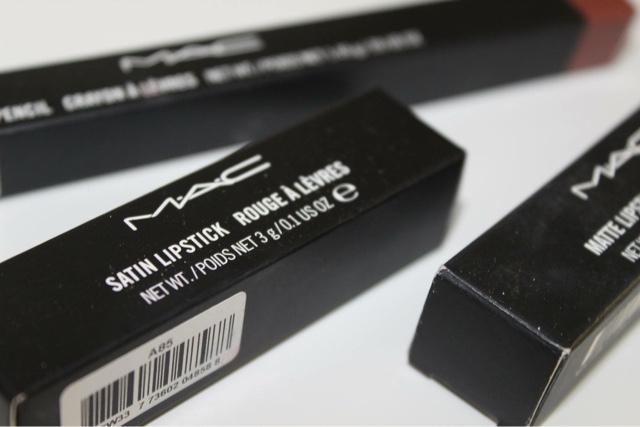 In 2015, I developed a bit of a love affair with MAC Cosmetics and it is showing no signs of waning so far in 2016. I really count on MAC for my lip products and given that they have pretty much every shade you could think of, it's easy to see why my collection just grew... by three. My first newbie came on Christmas Day when my beautiful little sisters treated me to the Whirl lipstick. I had lusted after this one for some time after seeing some of my favourite bloggers sporting it, so it was a lovely little gift. 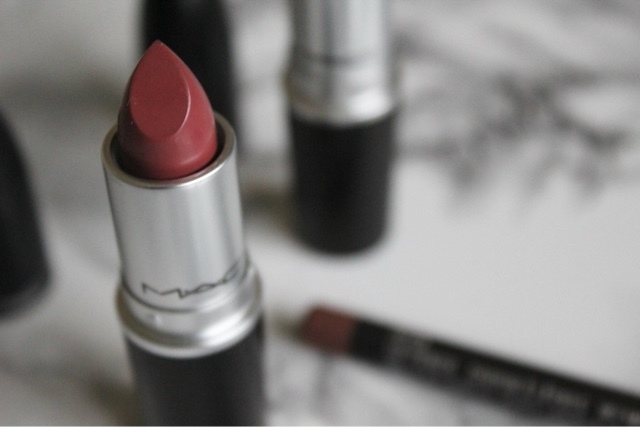 Whirl is part of the Matte range and is definitely one of the darker lipsticks I own. I would describe it as a burgundy rose shade, and it follows the renowned Whirl lip liner - an apparent favourite of Miss Kylie Jenner (and so, rarely in stock). 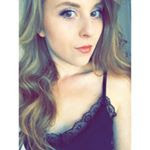 I am quite a pale skinned girl, so while I don't think I could necessarily get away with it on a day to day basis, I really love it for a vampy look in the evening. While it is supposed to have a matte finish, it's a lot creamier than I expected and it is really longlasting - and doesn't bleed at all. Twig is another lipstick I have had my eye on. I debated this one for some time as I thought it may be a bit too similar to Brave, which I own (and love) already. However, the shop assistant in the store advised it had much less of a pinky tone, and so I bought it - and I'd have to agree. It's a Satin lipstick, so is much more shimmery and moisturising on the lips - which is especially good news in Winter. It has a browny undertone, but still looks quite rosy against my pale skin tone. I think it's quite a versatile shade which you could rock day or night. I'll definitely be reaching for it for work. Lipliners were once something I regarded as for the older lady and generally a little uncool. That said, in the last year, I have really come to see how beneficial they are to improving the look and longevity of lipstick. You wouldn't colour in a picture before first drawing the outline, right? My lipstick to lip liner ratio is still far from equal, but I've been buying shades which I find compliment more than one of my lipsticks (savvy shopper right here!). One of these, is Spice. 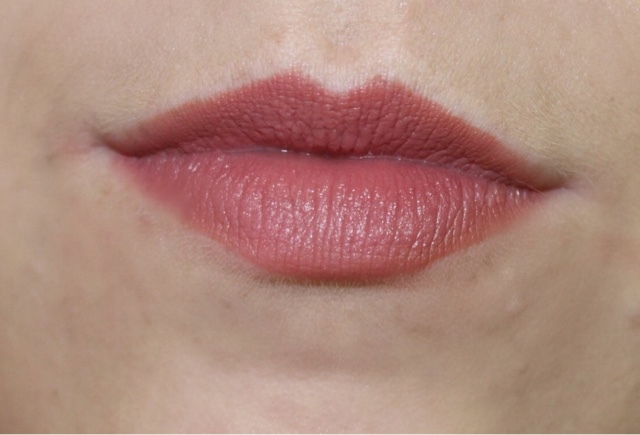 In the photo, I've paired it with Twig but I know fellow blogger Lydia Millen wears as a darker base with Honeylove, so it really can work with quite a variety of lipsticks. I've recently purchased some Lipglasses which I think it'll go well with too. Spice is really pigmented, and another one of those 90's shades. In my opinion, it's quite a cinnamony colour with a very slight rosy undertone. 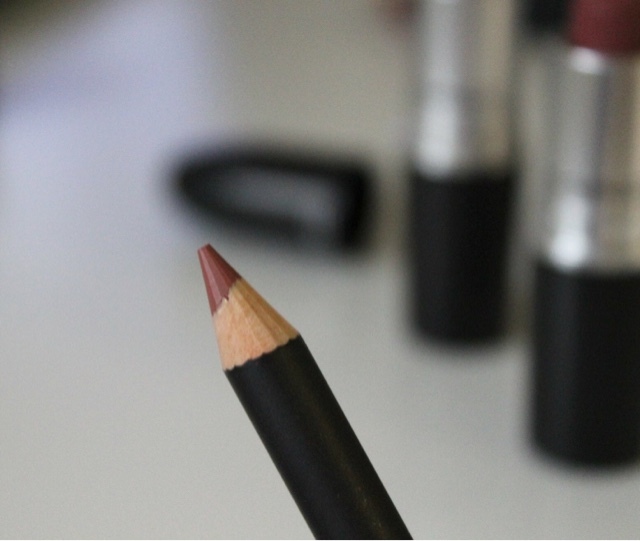 I would really recommend it and unlike other lip liners I have tried in the past, it blends well and isn't drying. im loving my whirl lipstick at the minute but i agree its not as matt as youd think and compared to my other mac matt lipsticks its definitely not its strange!